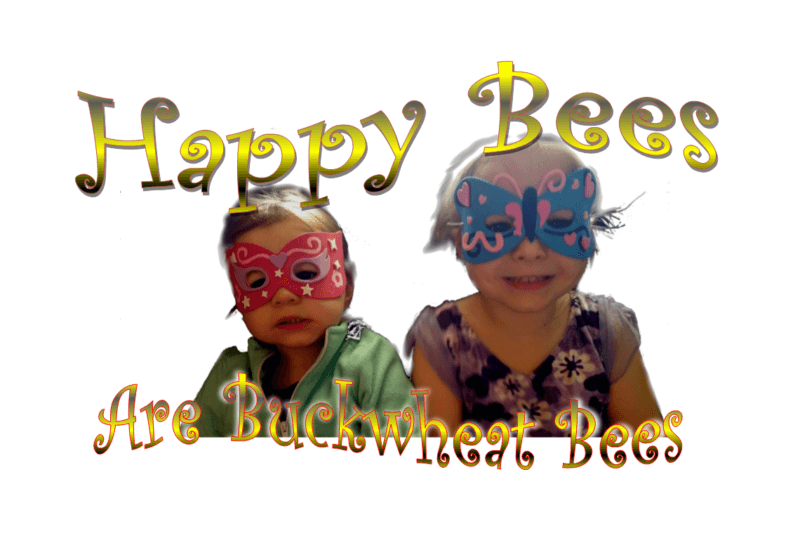 Save the Bees - Plant Buckwheat! My name is Erin. I grew up in and lived most of my life in Muncie, Indiana. I am a mother of two beautiful young girls who love to be superheroes, Willow age 4 and Cordelia age 2. I was trying to think of a way to show my girls that they can do and be anything. What can we do? We live in a small town, we don’t have tons of money, and we wanted to make a big impact. So, we are saving the bees. With a little cash, paper, and a printer here we go! We bought buckwheat seeds from the local garden store G&M Garden Center. Printed off some seed packets and flyers, and will be passing out our seed packets to local businesses and libraries around town to sow the seeds and spread the word. My daughters are suddenly real life superheroes. Look for the packets in May and you should plant around the end of June. Buckwheat is a summer crop. Sow the seeds Spread the Word. We hope this idea spreads like wild fire. We hope that someone will take a packet of seeds and tells their neighbor. That neighbor grabs a packet of seeds and tells their cousin in Illinois. That cousin decides to hand out a few seeds in his or her community next year. There it grows. If everyone can just do a tiny bit, consequences can be grand! Most of us are aware about the dire circumstances of our number one pollinator, our friends the bees. Without the bees pollinating our crops, we will be out of food in a very short amount of time. Some project as little as 4 years humankind would simply cease to exist, the world would end. It is amazing how much we depend on this tiny part, keystone, of our whole ecosystem. Without this keystone, the world will parish. It is debated among environmentalists as to why exactly the bees are dying out, I figure it can’t be a bad thing to help the bees out by providing a fresh food source. Planting buckwheat brings in all sorts of beneficial insects to your yard or garden including honey bees. Honey bees specifically have a special symbiotic relationship with buckwheat, producing some of the most delicious honey. Buckwheat is also very beneficial to your soil. It crowds out weeds, and makes a wonderful green manure recharging your soil. If you want to turn them into the ground for green manure, it is suggested that you turn the plants about a week after bloom. Plant in a sunny spot or anywhere you would like to help your ground renew.